What are the Standard Brochure Sizes for Printing? The standard brochure sizes are 8.5” x 11”, 8.5” x 14”, 5.5” x 8.5”, 9” x 12”, 11” x 17”, and 11” x 25.5”. The size that you should pick for your brochure will depend on your content. 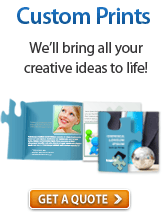 Effective brochure marketing relies on the harmony of the design as well. But how do you start creating effective brochures? One unique aspect of a brochure that can nicely complement a design, is its fold. Below, we have compiled a list of brochure sizes and applicable fold options for each size. One of the most popular standard brochure sizes is the 8.5” x 11”, letter size. This size provides a perfectly balanced area for visual design and detailed text. Thus, it is frequently used for general purposes, especially product and service information. Another popular standard brochure size is the 8.5” x 14”, legal size. When folded, it gives a slightly larger area for two-panel and three-panel brochures. When laying out your brochures, you need to take into account the empty space, called white space, around your design. If your brochure design looks crowded with the 8.5” x 11” brochure size, try using 8.5” x 14” to make it easier on the eyes. Also called memo size, the 5.5” x 8.5” is half of the size of letter size. It is the smallest standard brochure size. While small, it does pack a punch. You will be able to focus on your product’s selling point, making it more accessible to interested recipients. If you want to save a bit of your marketing budget, use the 5.5” x 8.5” size. Slightly bigger than letter size, the 9” x 12” standard brochure size is a great all-around size for both three-panel and four-panel brochures. The larger content area enables you to create more detailed designs and text. Also known as “tabloid size,” the 11” x 17” is the standard brochure size for four-panel folds. The accordion fold, double parallel fold, roll fold, and double gate fold work well with the larger content area. However, the best fold that is ideal for this size is the half-fold then trifold brochure. The 11” x 25.5” is the biggest standard brochure size. If you think you still need a bigger area for your four-panel brochures, then this is the perfect size for you. This size is great for businesses with a wider range of products and services that they want to showcase for the customer. It can also be used for brochures that detail a sequence of steps. Print attention-grabbing brochures with PrintRunner and start your brochure marketing campaign today. 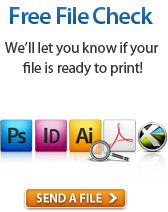 We offer customizable options, quick turnarounds, and affordable pricing. 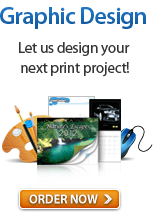 To learn more about brochures, visit our brochure printing page or call us at 1-888-296-5760.